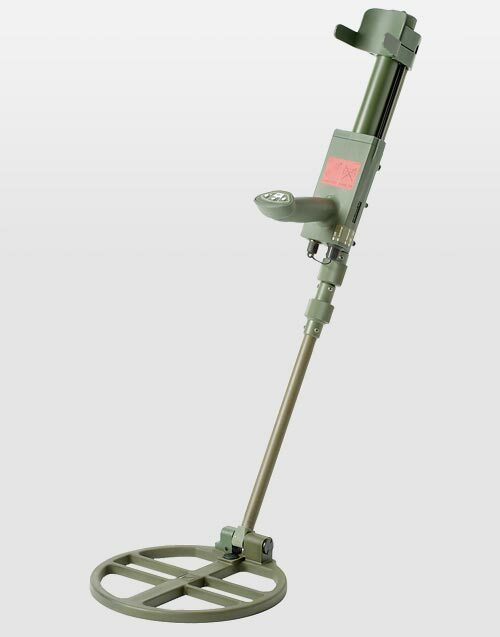 Based on the well-known VMH3CS TWO-PIECE METAL DETECTOR (see separate entry) but with larger search heads and a special UXO firmware which is custom designed for different applications. Offers a reliable and specific detection of ordnance, submunition and metal cased mines with less false alarms caused by other metallic waste. With the highly effective automatic ground compensation the VMXC1 is also recommended if the use of magnetometers is limited by mineralized soils. 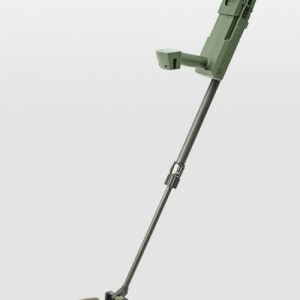 Ultra-high detection range, highly effective automatic ground balance. Metal alarm: audio, visual and vibration. Length continuously adjustable. Input for firmware upgrade. Output for data acquisition. Power supply: 3 ea. D-size standard or rechargeable (NiMH) batteries. 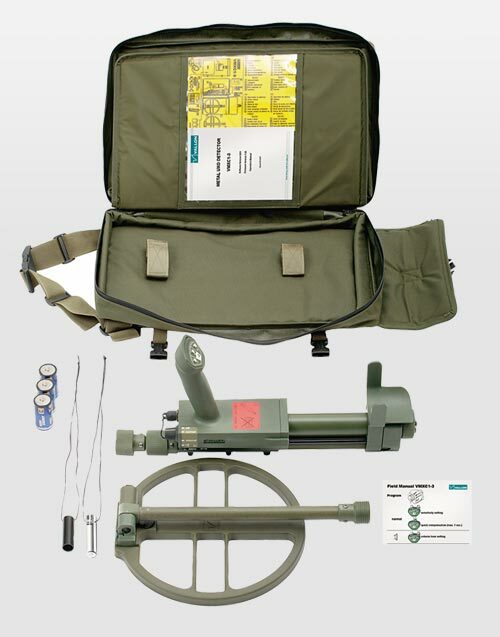 VMXC1 UXO DETECTOR is designed to meet the very specific needs of the UXO clearance professionals in the humanitarian scenario in post conflict areas. 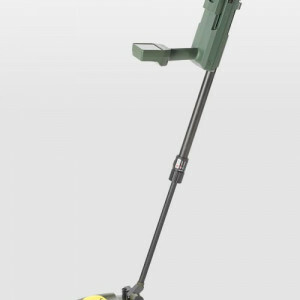 Its mechanical design ensures a comfortable use for hours. VMXC1 is also recommended in areas with severe laterite conditions or single mineralized stones. 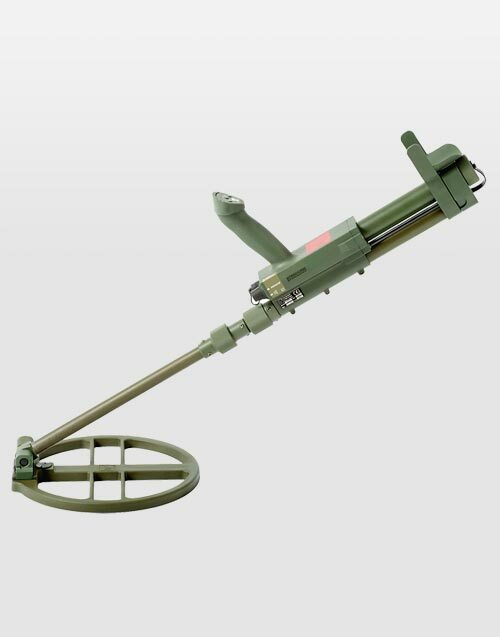 The modern DMPI technology (Digital Magnetic Pulse Induction), and the cable free design is the logical result from close cooperation with humanitarian and commercial UXO clearance personnel. The special UXO-firmware ignores small metal parts and can differentiate between ferrous and non-ferrous metals. 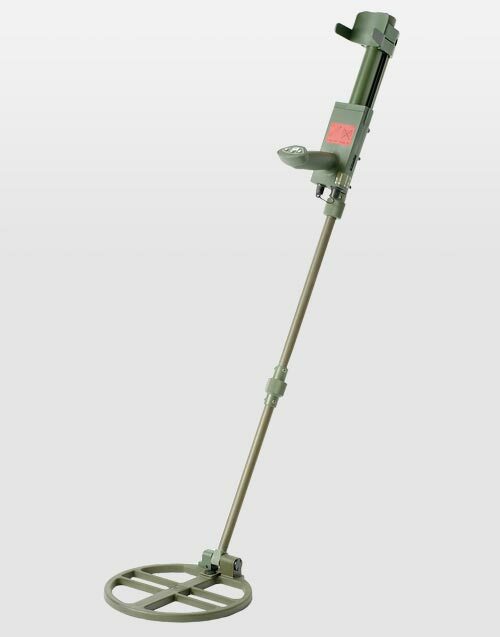 VMXC1 UXO DETECTOR has been designed specifically for use in the most challenging military and humanitarian UXO clearance operations. Special features for detection of ordnance, submunition and metal cased mines. Slim search head. Operates also with round 60-cm-search head. Ultra-high detection range. Highly effective automatic ground balance. Metal alarm: audio, visual and vibration. Length continuously adjustable. Input for firmware upgrade.